Voiceover character skills are the hardest and purest form of voice acting there is. There are many genres that you can work in as a voice over artist: corporate, commercials, promos, trailers and so on; but none of these genres will stretch you as a voice actor as much as character work will. There are many ways to prepare yourself as a voice actor to take advantage of all the opportunities there are in character voice work, but one of the most important ways of preparing to engage in this genre; is by engaging with life. Whenever you are out and about keep your ears open to the conversations of others around you. This doesn’t mean you have to snoop on other people’s conversations, but when you’re in a restaurant, on a bus, on a train, in a bar or on the street, one of the most useful things you can do is to listen to the sounds that other people make. Listen to the pitch of other voices, listen to the age and quality. Listen to their accents or dialects and listen and observe any defects that are present. File all of your observations away for future use. Similarly, when you are listening to the radio, watching TV or at the movies you should be actively engaged in analysing the way people speak. The reason you have to do this is that there is quite simply no other way to build up your bank of voices. Listening, learning, practicing and doing is the sequence that you need to engage with on a regular, ongoing basis. The practising bit is perhaps the most essential. Once you have identified voices that you think you might be able to recreate you should practice, practice, practice during any down time in your studio. Then, when you are called upon to create a character on a production from scratch, you will have a selection of voices and sounds in your vocal arsenal, that you can recreate with ease. Ask any character actor worth his or her salt how they practice their craft and this is what they will tell you. Hank Azaria, one of the finest character actors of his generation and the voice of multiple characters in The Simpsons, would say that his many genius creations came from everyday observations of people who he met. Mo the bartender in The Simpsons is nothing more than a bad, gravelly impression of Al Pacino according to Hank. So keep your eyes open when you’re out and start building your bank of character voices. One of the best ways to create a character on the fly is to remember what I have dubbed The Rule Of PAAD. Any character voice can be created by using variations on each of these four elements. If I’m creating a voice for an aged Texan character for instance, I might use a high-pitched, thin vocal quality, old-aged voice characteristics, a Texas accent and a lisp. The beauty of the rule of PAAD is that you can change one or more of these elements at a time and create a totally different sounding character. Take away the lisp from my Texan, or give him a lower pitch, and he’s a totally different guy! When it comes to creating believable characters, I cannot stress enough the importance of physicality in your performance – both in your body and face. Good character actors, even when working in sound only, will create and become their character physically. If you don’t do this you will never get believability and authenticity into the sound of your character. Some character actors I know even go as far as using props during their performance.I have often been found in sound booths with my head inside a waste bin (or trash can if you are reading this in the US!). I know it sounds ridiculous, but holding certain items in your hands or wearing a certain coat or hat, holding a stick or standing on something, can help your performance sound more realistic and believable. Holding a walking stick or, in the case of playing an older, person physically hunching my back so that my upper body is almost at 90 degrees to the floor helps me sound older. When working in computer games I am often asked to recreate fight scenes. To create the most realistic sounding scenario, I get myself into the correct physical and mental state. Sometimes I do this by jumping up and down on the spot to make it sound like I have just endured some form of physical exertion before recording the take. I once played a world war 2 pilot in a game, and recreated the sound of being in a violently moving aircraft by physically moving my body up and down from the knees while delivering my lines! Vocally I have also successfully used food and liquids to alter the sound of my voice. By simply taking a sip of water before you create a death scene for instance, you can easily simulate the sound of blood rising from your lungs into your mouth. Grizzly I know, but very, very effective. Similarly, when I am simulating an eating scene I will use typically either pieces of apple or banana – depending on what type of food my character is eating. Avoid chocolate though, as this plays havoc with your voice! While all this physicality in your performance is a good thing, you need to be careful not to create unintended noise through the rustling of clothing or inadvertently bumping into the microphone. To create authentic sounding, real characters you need to not only adopt the physical characteristics of your character during your performance, you also need to employ what I call, Guided Visualisation. In guided visualisation, you become the character – not just physically but in your head as well. This is why it is important when you are out and about and engaging with life, that you not only listen to the sounds of others around you but, as with all good actors, you need to observe the physical behaviour of others too. By doing this you will help yourself to visualise your character during your performance. Adding ‘humanisation‘ to your delivery will also add authenticity and believability to your performance. Humanisation refers to the noises and sounds that real people make in real conversations. The place-holders, the umm’s, the aahh’s, the ticks, the glitches, the breathing. All of these things add an extra dimension to your character creation. Additionally, pausing and silence are important. Real people in conversation will frequently pause, while searching for the next appropriate word. Some of them stammer or change a word that they were going to say halfway through a sentence or phrase. This is another part of humanisation and an extra weapon in your character armoury. Use it where you can. A Word of Warning About Accents and Dialects! Unless you are absolutely sure that your accent or dialect sounds like a native, from wherever it is your character is supposed to be from, then don’t do it! There is nothing worse than an accent that is half-baked and 20 degrees off. You lose all believability and the illusion you are trying to create is shattered. Finally, if you find yourself as a performer in a long form piece of work, such as a computer game or an audiobook for instance, you should ensure that you check back and listen to what you have recorded previously, following breaks in your recording. 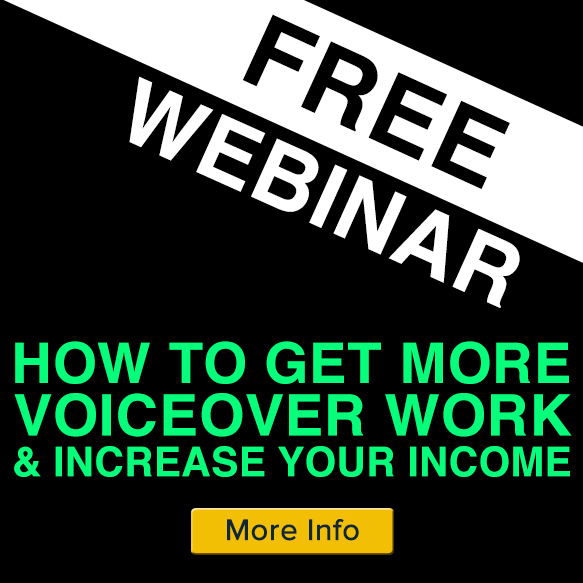 This is very important as it will ensure that your voice and vocal quality remain constant. This is vitally important in computer games where the final use of your audio will not necessarily be linear. I call change in your character voice throughout a long record “character creep”. You need to avoid this at all costs, so check your work frequently and make sure it is consistent throughout the entire production. 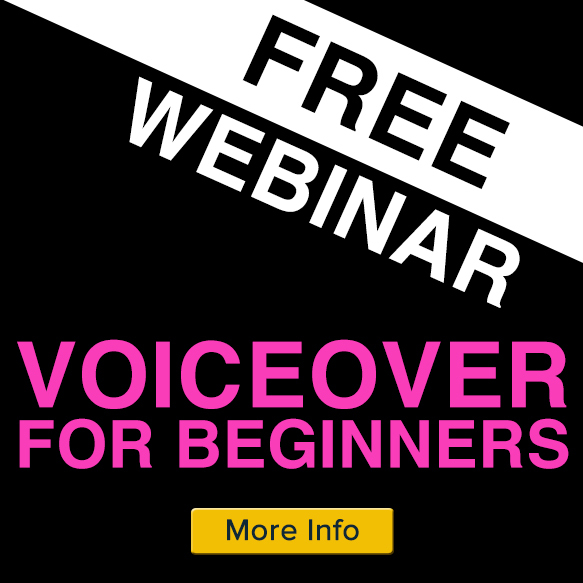 Developing your voiceover character skills can be great fun and is certainly a worth doing. 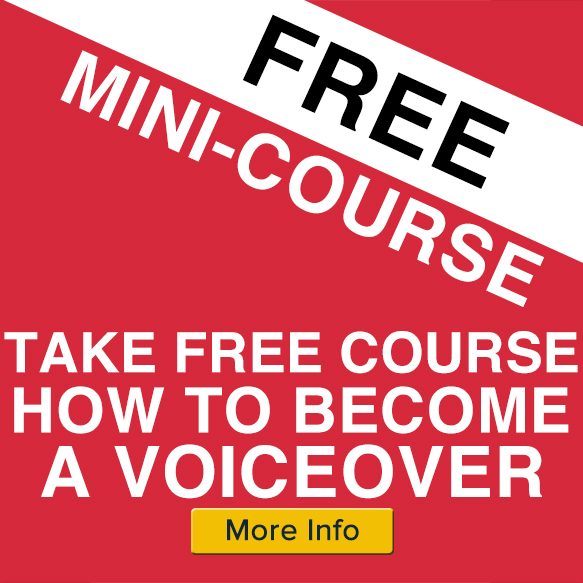 If you are interested in widening the scope of your voice over career and getting into character acting you will thoroughly enjoy yourself as well as building an interesting profession. Extremely useful stuff. I’ve applied PAAD in particular to several projects that I’ve worked on over the past several years. On accents, Rob Paulsen (Fairly OddParents, Teenage Mutant Ninja Turtles [two versions! ], Animaniacs, etc.) once also said never to offer an accent, but to be prepared if casting asks for one. Of course, then he admitted that when he read for the voice of Pinky from Pinky and the Brain, he completely ignored his own advice! Thanks so much for your article! I have recently found myself attracting more and more work from “Fantasy” authors. Indeed, I am nearing completion of a series of 7 books, involving multiple characters. When I first started narrating audio books with multpile characters, I would have to highlight with different colours the various characters; record ALL the lines of one, then another; splice/integrate all the clips to make the ‘whole’. What an endeavour!!! Now, fortunately, I have acquired the knack of being able to switch from one to another as-and-when. I totally agree, however, with the point that it is absolutely imperative to go back & check that I have maintained the same voice…..especially when the project involves more than one book and so is spread over quite a time. I’d like, also, to endorse your tip of “getting into” a character, especially the ‘physicality’ aspect. If my wife were to watch me sometimes as I narrate, she might well call the men with white coats!!! We’re not called voice ‘ACTORS’ for nothing…………..
As well as doing VO and narration, I have been a simultaneous interpreter for more than 30 years and one of the things that never fails to amuse meeting participants is watching an interpreter gesticulating in the booth, appearing to mimic the gestures of a speaker they are interpreting. It is an important feature of an interpreter’s performance however, ownership of other discourse, or the ability to recreate the communicative intent of an utterance, subtext, paralinguistic features and all. As Peter Dickson has made clear, the same applies to character in VO and this is well worth remembering. Great Peter, this was a very good review of the Gravy for the Brain course. I took a few months ago. I am reinforcing a few of this techniques under my belt, so I could master them and get better at them. I find the PAAD principle super helpful to create new character voices. And I also appreciated the discipline of paying attention to people around us in real Daily life, to take notes and build up out voices bank arsenal. ??. 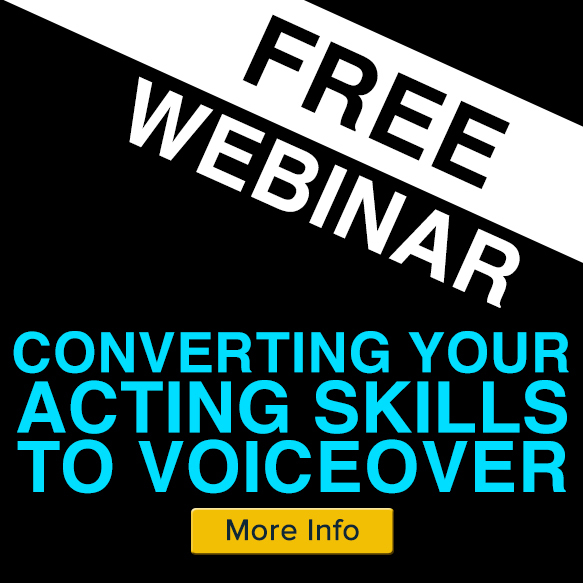 Thanks for all the tips and directions to become better Voice Over Actors. Peter, this was a great blog! Very informative and helpful. Loved it!